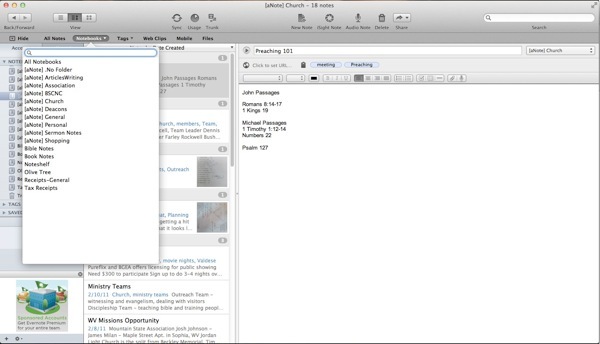 Apple’s Mac App Store has a highlighted app section called “Apps for Writers” which includes a number of good alternative word processing apps called Manuscript Makers, as well as Distraction-Free apps with minimalist interfaces, apps for Journaling & Blogging and apps for saving Notes & Clippings. Let me recommend what I consider the best choice for each of the four categories. Apple highlights five apps they recommend for this category, including their very own Pages ($19.99). However, I also recommend either Scrivenor ($44.99) or Mellel ($28.99). The other two apps are Movie Draft SE ($29.99) and Ulysses ($29.99). One of our editors, Tobias Buckell swears by Scrivener, calling it the “gold standard for writing anything larger than 4,000 words.” He also said that he “adores it. 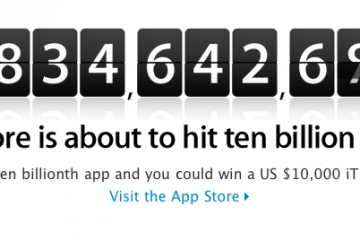 It’s the #1 go to app on my machine.” At nearly $45 it is the most expensive app in Apple’s list of recommendations. However, it seems like a case of “You get what you pay for!” It has overwhelmingly good reviews in the app store. 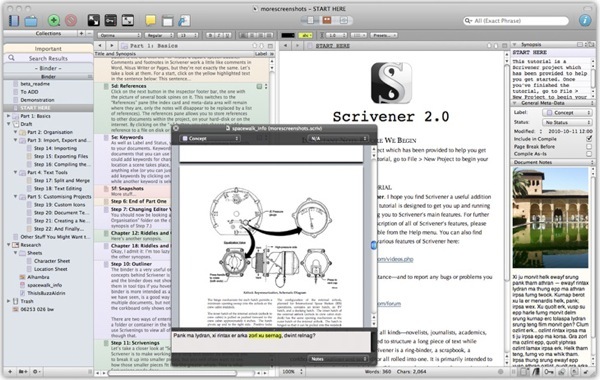 More than a word processor, Scrivenor helps you organize your work and also offers a distraction free interface, even though it didn’t make that list in Apple’s recommendations (see below). 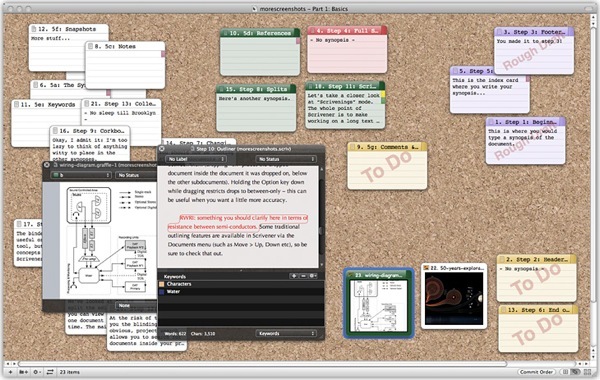 The Corkboard feature helps you gather all of your reference material and ideas so that you can organize your thoughts and create your masterpiece. My college English Composition professor taught me to research and write this way using 3×5 cards. No longer needed with Scrivener. If $45 seems a bit rich, maybe $28 fits your budget better? One of my pastor friends swears by this app because of its handling of Hebrew, thanks to its Israeli developers. Designed for working on long documents like a book or dissertation, it too includes powerful organization functions. For desktop publishers, you will like the layout features and control. I’m not a fan of distraction-free writing. But a few of our writers here at GottaBeMobile and our sister site Notebooks.com use them. 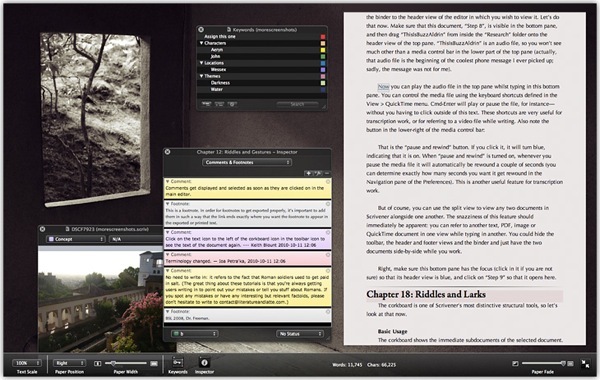 Scrivener stands out as the app of choice, as I said above. Strangely, Apple didn’t include it in this category of recommended apps. The two highest rated apps are Byword ($9.99) and OmmWriter Dana II ($4.99), with WriteRoom ($24.99) the most expensive of these apps just behind them. They also included iA Writer ($9.99) and Writer ($2.99) the cheapest of the apps. When you judge an app you look at the features and screenshots and then read the reviews. If the first two look good, but the reviews wildly vary as to the quality of an app, it makes it hard to want to download and check it out. Of these apps, two stand out in this third evaluation category – reviews. OmmWriter II Dana II has 249 ratings with 224 of them being 5 star and 13 4 star ratings. That means that of the 249 users only 12 users think it rates 3 stars or below. That led me to download it first. Aside from the very annoying music or environmental sounds in the background and the ridiculous noises you get from each keystroke, the app is beautiful. You can also change the backgrounds. I was puzzled as to why the developer included these distractions in a distraction free app is puzzling, but once you turn them off and pick a more subdued background, the app measures up to the user reviews. 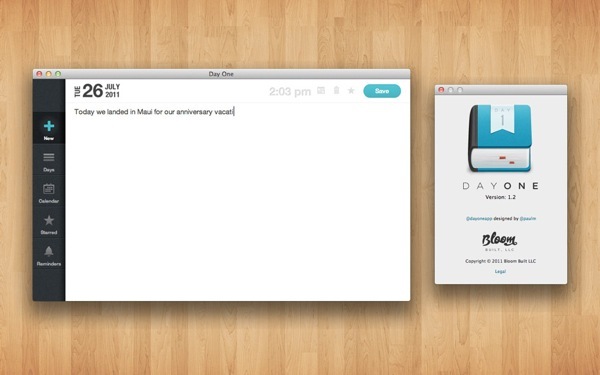 I like the concept of this app and, if I preferred distraction free writing, I could see how this app would benefit me. I write mostly shorter form content like blog posts, letters and outlined notes for my preaching. But for a long document that doesn’t require a lot of formatting, this style of app would be perfect. I do wish it had one paragraph formatting option – the ability to either indent automatically or to have a small amount of space between paragraphs. You have to do this manually, which annoys me. My recommendation would be to go with Scrivenor if you need a powerful writing and formatting tool but also want an option for distraction-free writing. 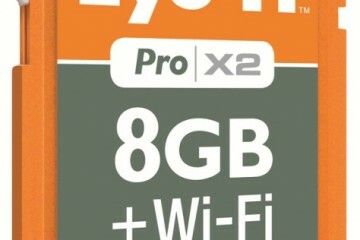 If you upgraded to OS X Lion, then use Pages if you don’t want to spend as much. 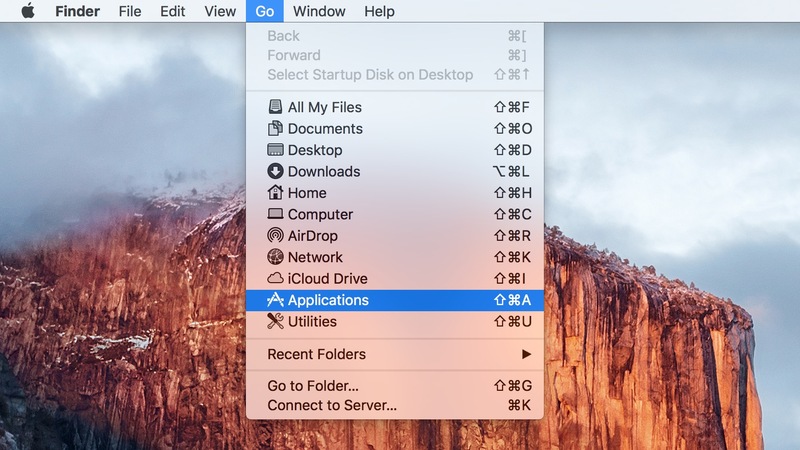 You can use Pages in a full screen mode in Lion (see below) but still have access to the formatting tools by mousing to the top of the screen. In this category, one app stands out for bloggers – Mars Edit ($39.99). However, the other four apps do something totally different. They let you record your thoughts in a digital personal diary, something I do not do a lot. 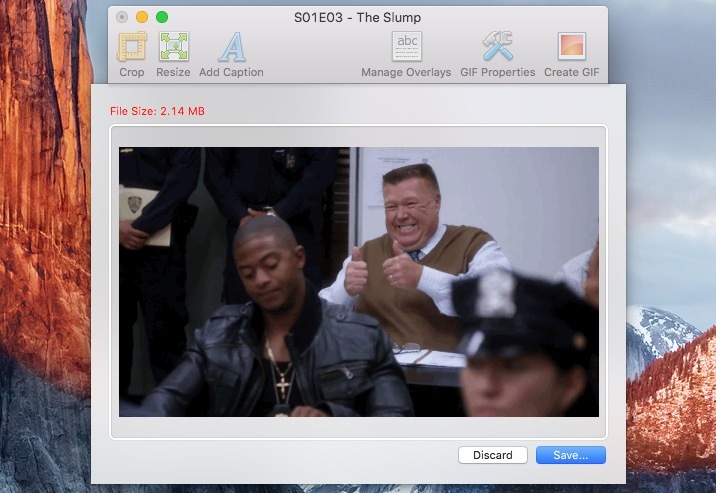 For bloggers who want to write offline, format offline and then upload to their blog, Mars Edit offers the only really good solution on a Mac that I’ve found until Microsoft ports Windows Live Writer. Don’t hold your breath. At $39.99 Mars Edit is expensive, but also clearly the best. 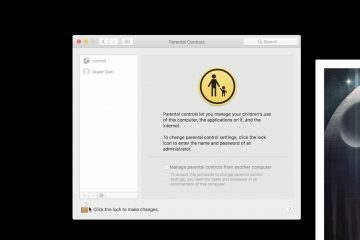 It contains a powerful image insertion tool. You can set up the options for your blog to post as a draft or publish write away. It also handles categories and tags quite nicely. If you post to multiple blogs, Mars Edit will let you set them all up and switch easily between them. I wish that the formatting options were available on a toolbar instead of one drop down menu. You can use keyboard shortcuts for many of them, but not all. The Interface of Day One ($9.99) and the recommendations in the app store give this app the nod. 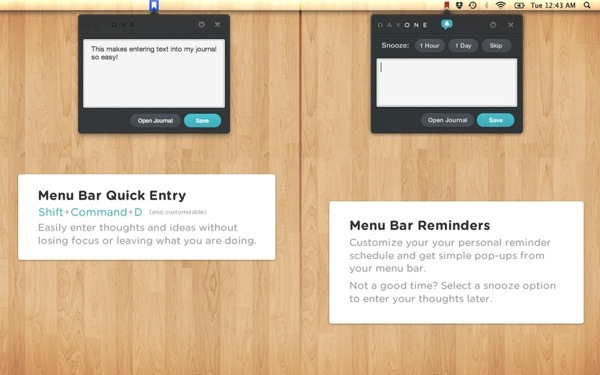 The Menu Bar quick entry tool encourages you to write a journal entry quickly and easily. The reminder system also nudges you to journal each day. You can quickly find your entries based on the calendar view or the list view, each of which shows entries according to the date. 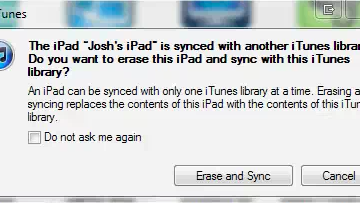 The app syncs with DropBox so that you can then access entries on the iOS app ($1.99) as well. 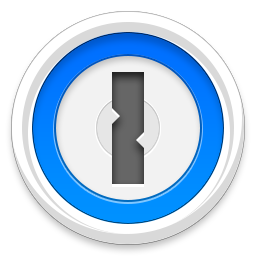 You can set a password to keep your thoughts private. 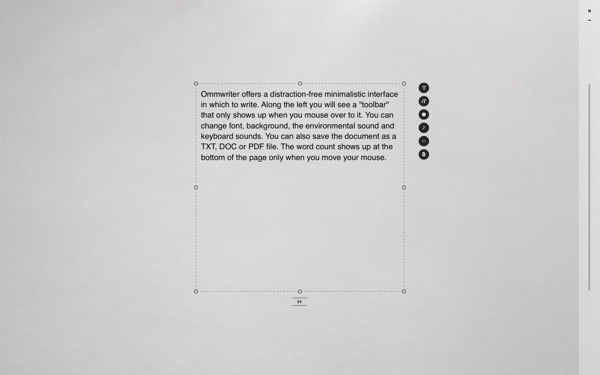 The simple interface offers a few formatting tools, but not so many that you get distracted. If you want to listen to what you wrote, select it, right click and choose either Speech or Add to iTunes as a Spoken Track. 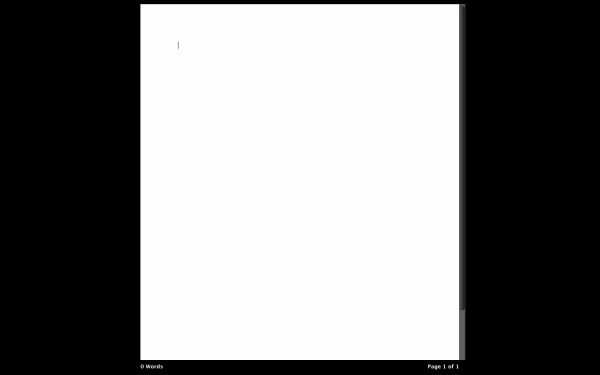 That last feature might be worth the price alone if you want to create spoken word documents quickly for someone who likes to listen to your writing or someone who cannot read for some reason. Of the four apps here, Evernote has to be the most useful for one reason – more people, apps and services use it than any other note taking, gathering organizing or snipping app available on any platform. 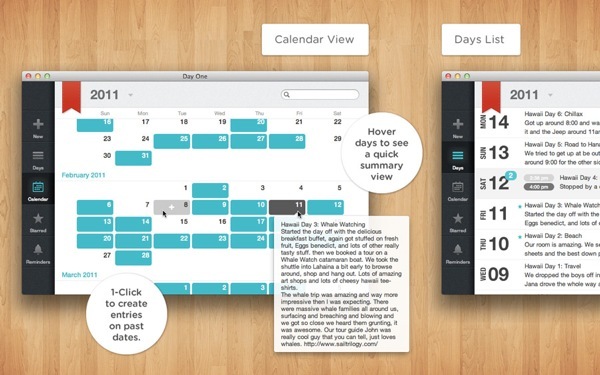 The other two note taking/clipping apps are Yojimbo ($38.99) and Together ($39.99). 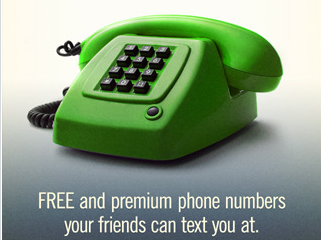 I can’t recommend them due to the cost and lack of ubiquity that Evernote provides. I primarily use Evernote as a shoebox for my information and as a notebook. I save things like tax receipts in one folder. I keep meeting notes from my job in another. I tag these so that I can quickly find them. When I take a trip I save things like hotel receipts and itinerary information to a folder made for that trip. When I have a special project, I create a new folder and save notes to that folder that I need to remember. I use iPad apps that allow me to make meeting notes with my stylus and import them into Evernote, either by sending them via email or in some cases directly from the apps. One of my most used apps, Bible Reader from Olive Tree, incorporates Evernote by saving all of the margin notes I take on verses in the Bible to an Evernote folder. The web interface, iPad app, Android app and computer app all work together to sync all of my notes. I paid for the premium membership ($5/month or $45/year) which gives me all the bandwidth I need (up to 1GB/month). 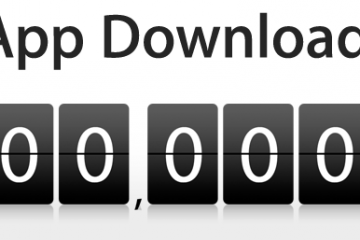 However, even as a heavy user, I seldom go past the allotted bandwidth given to users of the free edition. Below you can learn how a dairy farmer uses Evernote to help him organize his business. If you like to use mind maps to organize thoughts and brain storm ideas, MindNode Pro ($19.99) might help you become more productive. Mind mapping software lets you visually organize thoughts. For example, if you make presentations, you can set up a mind map with your speech. Put main ideas with supporting ideas connected to the main idea in a visual patter. Create a flow chart of the speech with each point in order and with an introduction and conclusion and all of the supporting material in each of those. Writers might create a mind map to organize a story or article. 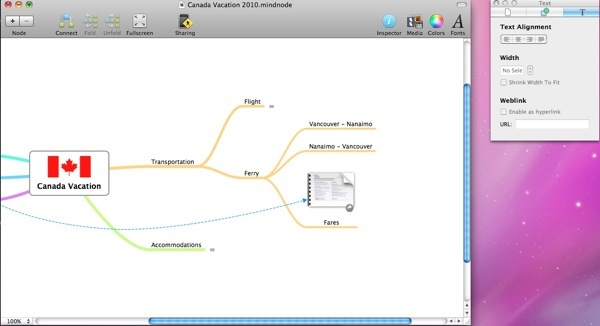 MindNode Pro lets you put together mind maps with visual tools. It has plenty of tools for quickly and easily creating charts and organizing your mind maps. Great list. I came looking for a review of Day One. Oddly enough, I use a good portion of your list. Omwriter II & Mars Edit are two of my go to apps. Excellent article, some of the links go to the wrong pages DayOne App store linke loads Mars Edit. Also images of Mars Edit are actually images of DayOne. Despite these factors was still really good review of the Apps.